The Blue Course finished renovations in 2006. We added three ponds and lengthened the course over 640 yards. The front nine, par 36, measures 3696 yards off the New Nittany tees. The White Course, renovated in 2005, provides a challenging alternative to the Blue Course. With holes dating back to 1922, the White Course will test even the most skilled player. 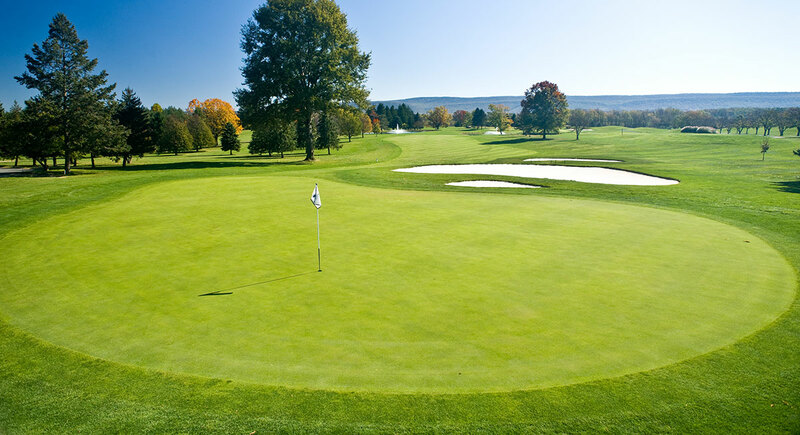 The Penn State Golf Courses has something for everyone. You can enjoy a relaxing round of golf on two championship courses, which take full advantage of scenic vistas while providing satisfying levels of difficulty for all golfers. The Driving-Range and White Course are NOW Open! The Blue Golf Course will open all 18-Holes with Cart on Friday, March 29th! Try one of our Two Indoor Swing Simulators! Just $10 for 9-holes, call to schedule your tee time! They will be up thru April 1st! Book Your TeeTimes Through Our Free App!